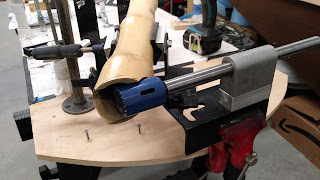 Here is the Calfee miter jig. It is a simple but effective way to get reliable miters for joining the bamboo tubes with the aluminum parts. Once the frame geometry is established on the jig one can easily transfer the angles with a simple angle finder. 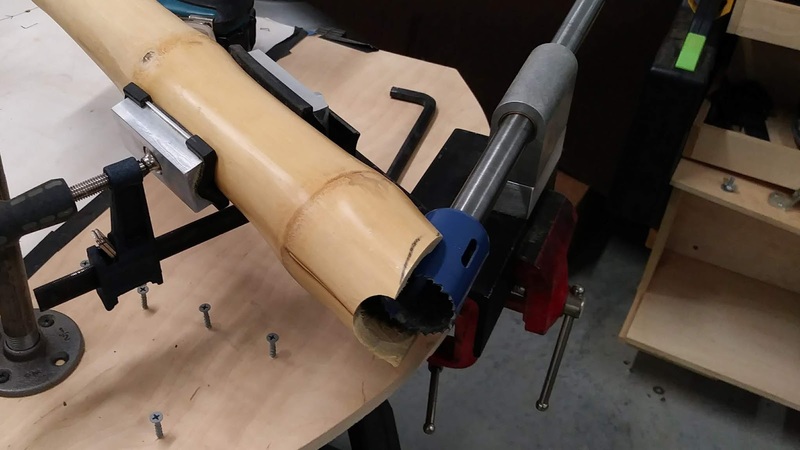 If getting it right in one shot is too intimidating then it is best to cut the bamboo pieces a bit too long then work your way down to a length that results in a tight fit. 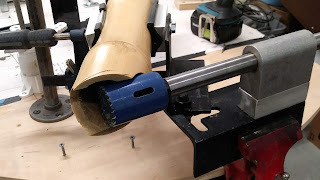 On the other hand if the fit still isn't super tight then it still isn't game over, since, by the time you add the epoxy and wrap any small gap will be filled. The basswood gussets also help fill any small voids as well.